Updated at 10:40 p.m. on Nov. 14: Authorities with the Santa Monica Mountains National Recreation Area announced late Wednesday that the mountain lion P-22 has been located in Griffith Park and appears to be fine. A brush fire that erupted in the hills above the Los Angeles Zoo on Nov. 9 shortly after 7 a.m. sent hundreds of firefighters into action and prompted zoo officials to remove some animals before the blaze was extinguished around sunset. The fire was reported in a remote area at the top of the hills southwest of the zoo and south of Travel Town. The blaze burned approximately 30 acres near the Toyon Helispot, a helicopter landing area near a now-defunct landfill. 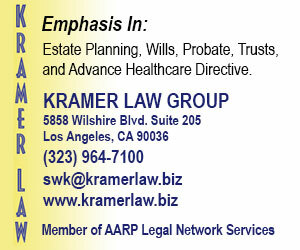 No structures were damaged. One firefighter was treated for a laceration to the leg but there were no other injuries, said Los Angeles Fire Department spokesman Brian Humphrey. Fire trucks could not access the remote hillside area where the fire occurred, so firefighters hiked to get close enough to battle the flames. Helicopters dropped water on the fire, which sent up a plume of smoke visible from the surrounding area. Winds were not a factor at the time, which helped firefighters keep the flames from spreading. Firefighters achieved 60 percent containment of the blaze by 2 p.m. and it was extinguished by 5:15 p.m. Personnel monitored the area throughout the night to ensure there were no flare-ups. The cause remains under investigation, Humphrey said. The Los Angeles Zoo was closed on Nov. 9 in response to the fire. Zoo communications director April Spurlock said staff wet hillsides closest to the zoo and temporarily evacuated some small animals. The brush fire in Griffith Park erupted a day after the Woolsey Fire, which continues to burn approximately 30 miles west near the border of Los Angeles and Ventura counties. High winds hindered firefighters’ attempts to stop the Woolsey Fire from spreading. That fire destroyed or damaged hundreds of homes and other buildings from Thousand Oaks to Malibu. The Woolsey Fire and the fire in Griffith Park concerned authorities overseeing the Santa Monica Mountains National Recreation Area. 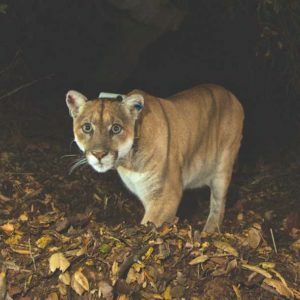 The National Park Service office that manages the mountainous area tweeted on Nov. 12 that movement was detected among eight of the 13 mountain lions that the department is tracking in the area stretching from Ventura County to Griffith Park, but the whereabouts of five of the big cats was unknown including P-22, a mountain lion inhabiting Griffith Park. Humphrey said approximately 150 LAFD firefighters were deployed to battle the Woolsey Fire and additional crews have been stationed in Griffith Park and other mountainous areas to prevent or quickly address new fires. Crews in pickups that are specially equipped with firefighting apparatus are being used, said Humphrey, who also cautioned the public to remain vigilant.